Join friends and neighbors for our biggest and most fun event of the year — the WHNA Annual Picnic! This year is extra special because we are celebrating the 40th anniversary of the WHNA. Come on down to the corner of New Kent and Prince Arthur Road on Saturday, May 19th at from 4-7pm for food, drinks, music, and lots of family fun! Tickets are discounted for WHNA members and you can purchase them by going to at the picnic. 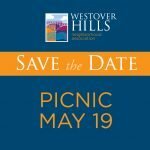 WHNA PICNIC UPDATE: The picnic has been postponed until tomorrow, Sunday, May 20 from 4-7pm. This family-friendly neighborhood 5K showcases what is best about our neighborhood – the outdoor opportunities! 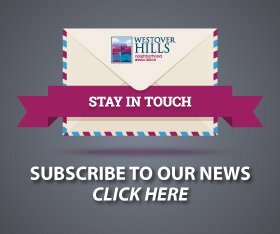 Our course follows the rolling hills and side streets of the Forest Hill Neighborhood and Forest Hill Park. There will be prizes for fastest man, woman, kiddos and doggy. Strollers and walkers are welcome. 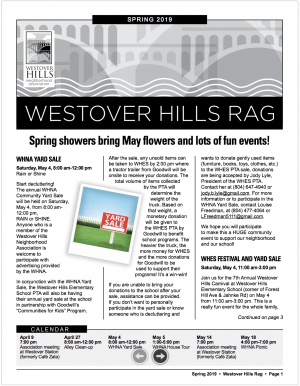 Why: All proceeds support great neighborhood events, like Music in the Park and the 43rd Street Festival, and neighborhood schools, libraries, civic organizations, and groups that work to make Forest Hill Park and our community truly wonderful. $25 online, now until Sunday, March 11th at midnight. T-shirt included with online registration. $28 walk-up, Saturday, March 17, from 9:00am to noon and Sunday, March 18, from 8:00 to 8:45am (run begins at 9am) at the Stone House. Limited supply of t-shirts for walk-up registration. Prizes awarded to first male and female adult, male and female youngster, and canine to cross the finish line. Are you ready to help defeat world hunger!!??? 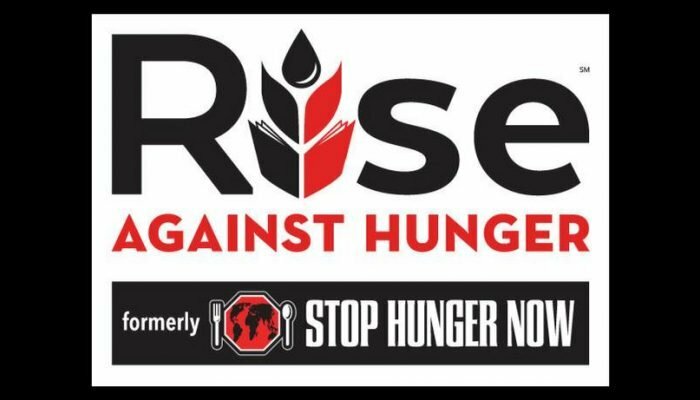 You can help by participating in the Rise Against Hunger meal packing event on Saturday, January 27, from 10 a.m. to noon at Westover Hills Elementary School. 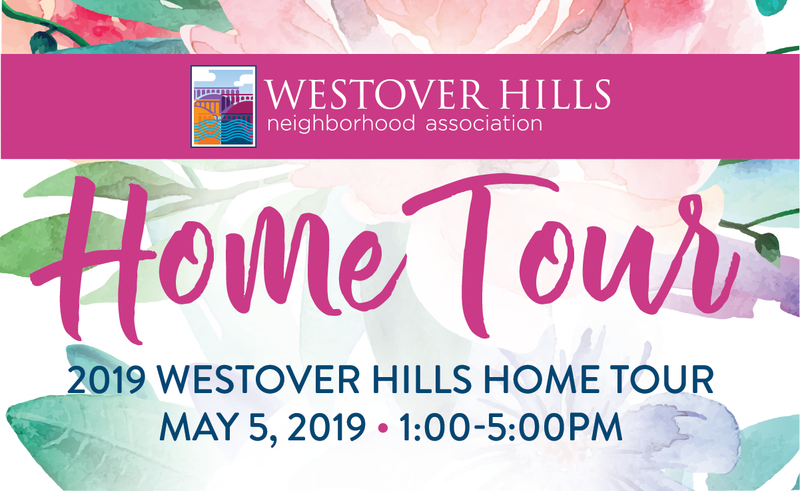 The event is sponsored by Westover Hills United Methodist Church and Westover Hills Elementary School and is open to the whole community. You won’t want to miss this fun, hands-on opportunity to serve those around the world who are hungry. This year’s goal is to pack 20,000 meals which will be shipped to any 71 countries that Rise Against Hunger serves. Volunteers will be needed for packing meals, as well as setup (beginning at 8:45 a.m.) and breakdown after the event. Please Click Here to register. Please come help pack meals with your neighbors.